Typically, jade bracelets come cut as a solid bangle or as a flexible bracelet with several sections of jade held by metal end caps and joints between pieces. With your bracelet, adding the spacer is a good idea but you will have to have two spacers, not one. Since the solid jade is not flexible, the bracelet will need to be cut on opposite sides so each half may be connected with a spacer. You will need to find someone with a fine blade diamond saw to cut the jade. These saws are motorized using a 6″ or so circular blade of thin design. Steel tools simply will not do the job. You want a fine and neat cut so the ends are parallel and match nicely. If a jeweler cannot do this, most will not have fine diamond rock saws, one suggestion is to contact a local rock and gem shop. The rock and gem shops cater to folks who like to do their own stone polishing and a diamond saw is one of the basic tools of the hobby. Ask the rock shop if they can recommend someone has a “thin kef” rock saw. People who do faceted stones or cut opal are most likely to have the diamond saw with a fine (thin) blade and may cut the bracelet for you. The rock shop may also offer this service for a minimal fee. Spacers will take the form of “end caps” or shallow cups into which the jade is cemented. The spacers could be made with two opposing caps (shallow tubes) for joining the jade ends, with one spacer on each side of the bracelet. Any competent bench jeweler should be able to fabricate the spacer from silver stock or use available silver “findings” to make the caps. Findings is the word used by jewelers to describe the “parts” used in jewelry work, such as ring shanks, stone settings, clasps, catches, etc. Depending on the diameter of the jade, there is the possibility of the jeweler using “bezel cups” to make the spacers. Bezel cups are stamped cups of silver (or other metal) used to mount stones onto bracelets, rings and other jewelry. Purchased, the bezel cups should work and will cost a fraction of the price if hand fabricated from silver sheet stock. Some silver design should be between each cap to allow the angle of the caps to match the angle of the jade ends for a clean look and secure fit. The use of a single section of silver tube for each spacer is possible but that depends on the angle of the jade at the cut ends and availability of silver tube of large enough diameter. Yes, the job is certainly possible and not very difficult to do. The problem is getting the bracelet sawn in-two cleanly. After that, having the spacers made should not be a daunting task at all. If you wanted, the spacers could be made one with a clasp and the other with a hinge, providing a bangle which opens and closes to be placed on the arm. Joining the jade to the spacer cups (or tubes) will be cement designed for such work. I suggest fine quality epoxy cement which cures to a water clear color. One such cement is Hughes 330, designed for joining gemstone material and metals. Other epoxy cements will work just so long as the cement is applied with care with little excess to show at the caps. Hip Hop culture has added a variety of terms, fashion trends, music styles and even personalities to the culture at large. Nothing has captured public interest more than “Bling.” The late 1990’s first saw “Bing” come into the general vocabulary. Bling, originally used in several different rap songs of the time, was coined to describe elaborate jewelry and personal accessories that show that the wearer has taste, talent, and lots of cash. Every year, summer comes around and it’s such a hectic shuffle trying to find the perfect swimsuit that is fitting confidence, flattering on your body, and fashionable. Feeling summer ready or not this year, one thing doesn’t change. Summer comes around each year like revolving door and each year women around the world trying to squeeze into swimsuits. They are ready to party and searching for that perfect cover up for that long-awaited beach or summer party. No matter the preferred style, another thing that sure is out there meet your needs and leave you feeling unstoppable. After putting on your bikini or monokini, choosing from bathing suit cover ups and that eye-catching peep toe wedge, don’t forget to show your style and strut your stuff in your summer-ready outfit of choice. One of the most popular styles of swimsuits are bikinis because they have been around for ages and get the job done for those looking to show a bit more skin. For women, fighting beauty standards are a constant battle, but Fashion Spot teaches us that EVERY body is a beach body. Bikinis are know to be the most revealing of swimsuits. Which has proven to be frightening to women all around the world. Dating back to beginning of commotion, bikinis are create to fit the times of WWII where fabric was being ration. But who would have thought it to become the significant fashion statement that it is today? From cute ruffles to upper cut Brazilian styles, women have embraced them and rock them well. 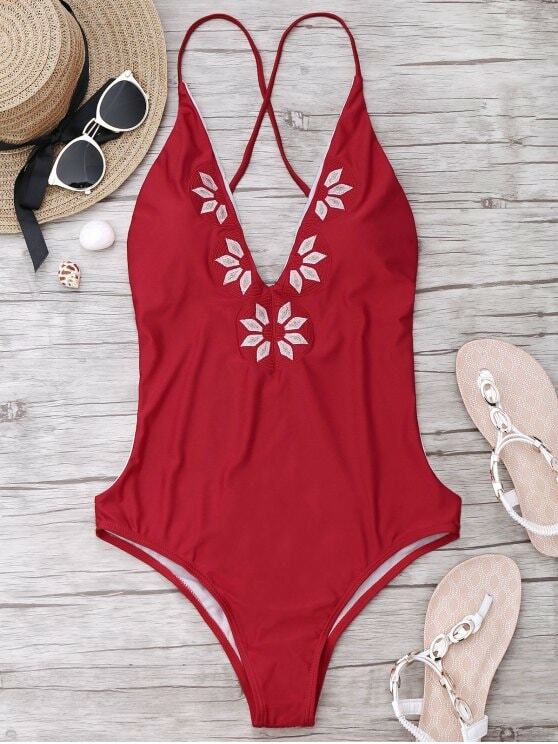 Next to the bikini, the monokini is among the most popular styles of swimsuits and is know to be a bit less revealing with women who are not looking to expose as much skin. Despite majority beliefs, mokinis have since been revolutionized and are structured to be more and more fashionably forward. Hence more women are opting to choose the monokini style for their comfortable yet stylish approach to such sensitive subject. Learning to be comfortable in your own skin is a confidence in itself and no beachwear is complete without it. Other elastic materials have also several uses. Rubber has various uses in today’s world. Rubber is used for tires, elastic bands and other bouncy and stretchable objects. Elastic materials are also used in sports. Insulated, elastic balls are essential to many sports as non-elastic balls would deform when used. Basketballs, volleyballs, and soccer balls have to be elastic to allow them to their normal shape. Elastic is used in clothing as well mostly for fitting purposes. Elastic provides a room for stretch ability and recoverability of clothes. The elastic waistbands are especially very much in use. They help you choose pants, trousers, etc of size smaller than your original waist, thus making you look slimmer. In addition, they can be used for a longer period, since they don’t get wasted if you gain or lose weight. They are adjustable. Elastics are also used for chest fitted gowns or shirts. They also act as an accessory to create various designs on your shirts. The elastic laminated sheet is also used in many articles of clothing. Such articles include shirts, pants, skirts, dresses, socks, athletic wear, swimsuits, shorts, medical and surgical garments et cetera. The stretch ability and recoverability in these clothes because of elastic sheet helps movements easy and make clothes more durable since they don’t get torn or ruptured. In a word, Pandora is an alluring beauty who is filled of mythology. In ancient Greek, “Pan” means all the things, and “dora” signifies gifts. Pandora means a perfect woman who possesses both beauty and wisdom. In our daily life, Pandora presents all the enticing things. Later, we combine Pandora with jewelry, Pandora jewelry becomes the collection of all the alluring things. Pandora jewelry is purely handmade, and is made up of pure colored glaze and sterling silver pipe. The Pandora jewelry has fine shadow effect. It can show three – dimensional effect from different angles. The jewelry can bring you a feel of tranquility and peace, and take you to enjoy the natural beauty of the pearls which is limpid. Pandora pearls are made of colored glaze before, nowadays, owning to the needs of customers, some are made of Zircon which is also beautiful when made to necklaces, bracelets, and other strings. In the first, Pandora jewelry is alluring as the word “Pandora”. In the process of manufacture of bracelets and necklaces, they achieve the target of necklaces and bracelets without joints. Guess (the designer brand) is a us premium designer label that creates a collection of different of fashion clothing and fashion accessories including Guess designer handbags. This company was started in America in the early 1980’s and was created by a group of brothers who were raised in the city of Marseille in the south of France. The Marciano siblings always had a fascination with the way of life on America’s West Coast and moved to California in the late 1970’s. Showing both their admiration of classic American fashion with a European eye the Marciano sibliings very soon recognised a niche in the American fashion world. Towards the end of the 1970’s, denim was perceived to be old fashioned and far removed from it’s level of popularity of the 50’s and 60’s. The Marciano family had designed a new type of jeans labeled as the “Marilyn” jeans. This 3 zip design was not appreciated by the fashion press or retail boutiques and it was only after a lot of negotiations were the Marciano siblings able to secure a sample order with the Bloomingdales store. Even then the buyers at Bloomingdales agreed only to buy two dozen pairs of jeans and this was more of a favour than a financial strategy. Shortly after displaying the jeans for sale Bloomingdales had completely sold out and a completely new fashion brand was born in the eyes of the world. Over time the business have incorporated even more accessories to the Guess clothing brand and Guess bags are now one of the many fashion accessories this company now creates.Proving to be particularly successful these purses and handbags add a real look of sassy style to any women’s wardrobe. In recent years the company has changed into producing accessories for the home such as bed linen, scents and wrist watches and the firm seems to be continuing to go from strength to strength. Accessories can either make or break an outfit, but with the right piece you’re sure to complete a stunning wardrobe. Fashion mishaps often happen with either the wrong choice of style, wrong color combination, mismatched wardrobe, and mismatched accessories. The common (and old) rule for accessories or jewelry is to never wear gold and silver jewelry together. But with the trend nowadays, a lot of women are seen wearing gold with silver bangles. Let’s admit it, it does look nice. So, what is the rule now? Should silver and gold go together or not? Nowadays, with women’s accessories, it’s safe to just forget all about it – forget about the so-called rule on mixing accessories. Besides, the trend these days are all about mixing and matching! With all the fashionable jewelry and accessories out there, it would really be a shame to wear them only with some pieces. These days, women need not be afraid to layer silver and gold – be it with bangles, necklaces or other pieces of jewelry. While breaking some old fashion rules is now accepted, let’s face it, there are still some people who have a preference for one type of jewelry over the other. For instance, some women feel that gold doesn’t look good on their pale skin, thus, so they only wear silver or white gold jewelry. Again, it’s perfectly alright to mix silver with gold. For one, many top jewelry designers and jewelry manufacturers use gold and silver (or white gold) on the same jewelry piece. There is no reason why women cannot wear gold and silver jewelry at the same time. But to some women who want to break the old don’t-mix-silver-with-gold rule but want to play it safe, they can always mix silver with white gold. Such a combination never clashes and looks elegant at the same time. While women are a combination of adventurous and reserved personalities when it comes to trying new trends in fashion, men are a bit more on the conservative type – simply because their accessories are pretty basic – watch, ring, and cufflinks. Imagine seeing a man in a suit also wearing a gold watch with a silver ring. It may not look obvious from afar, but once he gets upclose you would see the difference. Gold is actually one of the basic and safest color for an accessory to choose for a man’s attire. The only rule though in wearing men’s gold accessories is that it should match well with other ones you’re wearing For example, if a man chooses to wear gold cufflinks, he has to make sure that they match with the color of his belt buckle, and other pieces of jewelry he’s wearing, like a gold-tone wristwatch, bracelet, or ring. On the other hand, if he’s wearing silver cufflinks, all other accessories should be silver-toned as well. o	Skateboard Logos and Decals: The logos and decals are used extensively by skateboarders for decorating their skateboards. Skateboard logos and decals are available in various shapes, sizes, and colors and these can be placed anywhere on the skateboard. You can also go for customized designs to suit your personality. Some of the leading brands that offer skateboard logos are Baker, Alien Workshop, Black Label, Bones, Destructo, etc. o	Protective Gear: A protective gear is mandatory to protect you from minor injuries and accidents. Whenever you go out for skateboarding, do take care that you are never without your protective gear. A skateboard safety gear includes ankle brace, skateboarding gloves, skateboarding helmet and skateboarding pads. The protective gear is helpful in case of falls and helps in protecting a skater from cuts, bruises, sprains, and abrasions. o	Skateboard Apparel: Dressing up in proper skateboard clothing is essential to enjoy skateboarding comfortably. It is also a style statement in itself to dress up in funky skateboard clothing. You can impress your friends and other skateboarders with your colorful skateboard apparel. Skateboard apparel comprises skateboarding hats, T-shirts, jackets, sweat shirts, shorts, trousers, etc. Various top brands like Alien Workshop, Fourstar, World Industries, Habitat and many more manufacturers appealing apparel for skateboarders. o	Skateboard Maintenance Accessories: Maintenance of a skateboard is equally important to enjoy a safe and smooth ride. Periodic maintenance of skateboard is essential for optimum performance. Various skateboard maintenance kits and accessories are available to help you in maintaining your skateboard. Some of these are skate tools, skateboard bearing lube, skateboard rails and skateboard wax. Skate tools can be used to replace the non working or worn out components of your skateboard. Bearing lube can be used for cleaning and lubricating the bearings whereas skateboard wax can be used for lubrication purposes. The one thing that we all can be sure of with summer approaching is the attraction of summer sports, fishing being on the top list (if you’re reading this and there’s snow outside, summer’s still coming!). There is hardly anyone of us who would refuse to go for a fishing trip. A few of us might fancy going out on a boat ride and do fishing at the same time. Whatever the choice maybe for a chilled out summer sport experience you just can’t do without a good pair of polarized fishing sunglasses. I know this for a fact that normal sunglasses won’t do us any good while we indulge ourselves in these activities. Polarized sunglasses are meant for water sports. By the time you are done reading this small article you will realize why these glasses are so essential plus how you can go about buying a pair for yourself. Even if you do have one, it does not hurt to try out the latest ones with anti-reflective or mirror coatings as well. The best thing about polarized fishing sunglasses is this that they reduce glare making them quite useful for fishing. Everything appears transparent, whether you are fishing in a lake, river or deep ocean. The polarized sunglasses makes you see everything crystal clear through the water. Whatever activity you do with the polarized glasses on you will be focused since your vision will be very clear. There is generally no point in fishing wearing the plain tinted sunglasses as your vision may be very poor with them on. This will only lead to loss of interest in your fishing as well. I am not saying that these sunglasses are meant for everything, polarized fishing sunglasses are a definite must have if you have plans for a fishing trip with family and friends. Polarized fishing sunglasses can be easily available at local retail stores, malls and online too. The prices could also vary and you can set a budget for your pair of polarized fishing sunglasses. Don’t worry about what you pay as long as you know that they are genuine polarized sunglasses. You don’t have to go for the most expensive ones either; you will be able to get one within your budget after all we all have different preferences and budgets. With polarized sunglasses at hand there is hardly any doubt that you summer activities will be full of fun. By browsing online you will be more familiar about the choices that you have and accordingly make your selection. Here are a few brands that make polarized sunglasses: Maui Jim, Costa Del Mar, Ray Ban, Bolle, and Oakley. Look for hydrophobic coatings and anti-reflective coatings to make the lenses easier to clean and reduce back-side light scatter. One way to determine if your current lenses are polarized is to look at your cell phone screen while turning it. If the screen darkens as you turn then your lenses are polarized. There are also fitovers which are sunglasses that fit over your regular clear glasses. Be sure to protect your eyes and give yourself the best vision possible. Summer is no reason to keep your baby locked up at home; every baby needs its share of fresh air and sunlight. However, a baby's soft sensitive skin is particularly vulnerable to lasting sun damage. So make it a rule to stay indoors between 10 am and 5 pm when the heat is unbearable. Instead, go for a stroll in the relatively cool early morning or evening. While outside, remain in the shade as much as possible and avoid too much direct sunlight. Synthetic fabrics make the baby hot and uncomfortable. Beside, it blocks air passage causing prickly heat or rashes. Cotton clothes are the ideal choice as they keep the body cool and allow air to flow freely. The baby's head and face can be easily protected with a wide-brimmed hat – preferably, one without a restrictive elastic band. Sunscreen in summer is critical because sunburns sustained in the first 15 years of life are responsible for skin cancer later. Although there are no confirmed reports that sunscreen itself is unsafe for babies, you might choose not to apply it on infants less than 6 months old. On older ones, an SPF 50 sunscreen recommended for babies protect skin against UV rays from sun. A generous quantity of this sunscreen should be rubbed into skin 30 minutes prior to stepping out into sunshine; for added defense, dab sunscreen on parts of skin covered by clothing. While driving in a car or even on a cloudy day, let every inch of your baby be sunscreen protected! Opinion is divided but some suggest that good quality sunglasses can protect babies' eyes from sun. Plastic fancy / toy goggles are damaging to the eyes and do not offer adequate protection. Always, buy good quality sunglasses – whether for your baby or for yourself! A baby's surface area is high compared to body mass, so they get dehydrated quickly. Babies below 6 months of age should be breast-fed whenever they like. Others must be encouraged to take extra drinks of water at regular intervals. If signs of dehydration – no urination for 4 – 6 hrs, crying without tears, sunken eyes etc – are noted, give enough water and apply a wet sponge to the forehead at once, to revive the baby. If symptoms persist rush to a hospital: your baby could be suffering from heat stroke. Splashing in the backyard pool affords the baby instant relief from heat. And for the parents, it is a delightful scene to watch. Make the experience hassle-free by ensuring that water is treated to kill microbes: otherwise, it can lead to pink eye, sore throat, cold etc, or dirrhea, if water is accidently swallowed. From time to time check diapers and in the event of a leakage change the water. Remember not to change diapers by the pool; take the baby to the bathroom instead. In summer steer clear of public swimming pools, spas etc. All this guarantees that your baby is playing in water that is as fresh as it looks. Every human, living on this planet has a common desire, and that is to look beautiful, gorgeous, stylish and elegant. Women have always been seen with jewelry on their beautiful neck, ankles, ear lobes and so on. However one thing that one might have noticed is that the jewel piece that they wear on their hands seems to be the most elegant of all; the jewel piece is a bracelet that would exceptionally accentuate the beauty and glamor of the lady. There are one too many varieties of bracelet, like for example Sports & Charm Bracelets, and Bangles etc, and these bracelets could be made of metal, leather, wood, shells which becomes expensive items when coupled with expensive stones, or humble materials such as cloth, fiber, beads etc. The sport bracelet was really famous with the famous cyclist Lance Armstrong promoting the Live Strong message on his rubber bracelet. It became an absolute rage among youngsters, and popular in promoting brands, for charity purposes, for creating awareness and so on. Bracelets are worn by some communities in order to ward off evil spirits, they believe that wearing these bracelets would protect them from evil eyes, most often babies and toddlers are made to wear tiny bracelets made of little beads of gold or silver. Some people also believe that wearing bracelets can bring in good luck and fortune; people often try to find easy way to success, or when they face failures instead of correcting their mistakes or making changes in themselves, they say it's because of their bad luck and for that if they wear a bracelet, their luck would change and success would come running to them. Besides these beliefs, diamond bracelets are often worn by people to enhance the beauty of their beautiful hands and also to bring in a spark and a glitter to their lives. Bangle bracelets are timeless and have always been popular among women. Colored stone bracelets are also very much fancied by women as they bring bright colors to their personality and are very trendy and classy. In short, a bracelet is one accessory that you should not hide from, as it would definitely bring in the class and style to not just your outfit but also your entitlement personality as well.